Necessary ruling for an often-necessary task in construction. The latest ruling by the Occupational Safety and Health Administration finally catches the construction industry up to counterparts in manufacturing and general industry by offering protections that will save the lives of construction workers each year. A necessary part of many construction projects, entry of confined spaces—manholes, crawl spaces, pits, tanks, and anything not suitable for continuous occupancy—puts workers at risk due to the sheer difficulty of exiting. People working in confined spaces are often subject to risks including asphyxiation, electrocution, explosion, and exposure to toxic substances. Here at Optimum Safety Management, we look to help you operate more safely, and would like to offer a few frequently asked questions regarding the new standard, set to take effect on August 3, 2015. For more information, be sure to check out our new confined space resource library. 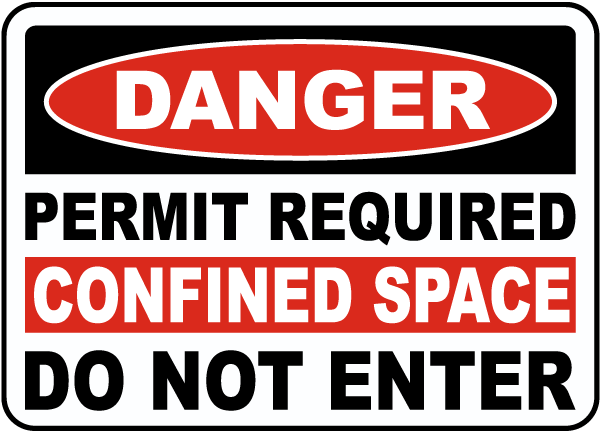 A confined space is any location that has limited means of entry and exit, is large enough for a worker to enter, but is not intended for regular or continuous occupancy. Confined spaces include, but are not limited to, tanks, vessels, silos, storage bins, hoppers, vaults, pits, manholes, tunnels, equipment housings, ductwork, pipelines, etc. The construction industry’s standards for confined spaces was well behind that of the manufacturing and general industry standards. Detailed confined spaces standards for manufacturing have been around for over 20 years, so this was necessary and construction companies must take heed. How Does the Construction Standard Differ from General Industry? There are 5 key differences in the construction rule, and several areas where OSHA has clarified existing requirements. The new standard addresses more directly the needs of the construction industry. More detailed provisions requiring coordinated activities when there are multiple employers at the worksite (for more detail, see question below). This will ensure hazards are not introduced into a confined space by workers performing tasks outside the space. An example would be a generator running near the entrance of a confined space causing a buildup of carbon monoxide within the space. Finally, several terms have been added to the definitions for the construction rule, such as “entry employer” to describe the employer who directs workers to enter a space, and “entry rescue”, added to clarify the differences in the types of rescue employers can use. Another important part of the new standard is who’s responsible for what. A great deal of the responsibility falls on controlling contractors, although all factors hold some form of responsibility. As mentioned above, the controlling contractor is also responsible for making sure employers outside a space know not to create hazards in the space, and that entry employers working in a space at the same time do not create hazards for one another’s workers. OSHA provided a flowchart to demonstrate the flow of information from host employer to coordinating contractor to subcontractors. What Do Employers Need to Do by August 3, 2015? With this rule marking such an immense change for those in the construction industry, employers are strongly encouraged to review their safety policies, procedures, and training programs. OSHA will be cracking down on this rule and without the right processes and policies in place, those unprepared in the construction industry are at risk not only to lose money and contracts, but also the most important asset, the employee. Optimum Safety Management stands to help your company protect its employees by preparing your organization for this and many other requirements. Learn more about ongoing updates by signing up for our e-newsletter, and contacting us for more information.